“Being alone adds beauty to life. It puts a special burn on sunsets and makes night air smell better.” ~ Henry Rollins; American musician, actor, writer, television and radio host, and comedian. Freedom is something most people do not really understand because they tend to be deceived by their egos and their pleasures or fanaticism. No one can tell you what freedom really is, not the politicians, not the commercials on TV, not movies, not your friends, not co-workers, not your family, and not even your own intellect; for freedom is not really a concept but it goes beyond that, so it is not created by man, even though by being able to vote or walk around freely or choose your romantic partner you feel free. It is all an illusion of the conscious mind, of the ego; there is no freedom created by man, there is only the grand illusion of freedom, and this is why people aren’t 100% happy and there are wars and divorces and this and that issue in the world. People think they are truly free, and once the illusion runs out then their minds start feeling overwhelmed and overflood with fear and desperation, hatred and anxiety towards themselves, towards others, and towards situations which pin them against a wall they themselves have built. For example, people vote and think they choose, but the decision has already been made for them, and this is not democracy but the superficiality of it to keep the masses compliant and subservient, and this leads to the suffering of the many and the glory of the few–and yet the many do not see this, because they walk with a blindfold over their eyes. Another example is watching TV; today the media exposes news of corruption and violence in the world– But, think about it, is it really the whole truth that they choose to show you, or superficial news to entertain you and divert your attention from the core problems…?? Again, to keep the masses compliant and subservient, minds bent to the will of the society’s system they have already chosen for you; thus, the chaos of a rebellion of the Higher Mind and the individuality of each person are seduced and kept asleep, and if the masses continue their sleep then the illusions continue, rich empires continue growing richer, the poor get poorer, people continue to eat and drink ignoring all health while their minds and bodies are kept weak and chained to lower thinking and to doctors which pump the system with drugs, all profits from unneeded items go up, blood-money from wars and from the negligence of countries on starving people increases, etc. etc. Now, it is the unwise man which follows all this, the sheep whose eyes are closed to that which lies beyond the facade of society. The wise man understands and knows this and, even though he lives among these sheep (which are his friends, family, co-workers, neighbors, etc. etc. ), he becomes the wolf himself because he knows that truth and happiness are only found within himself and not in society’s magic tricks, for he doesn’t let the egotistical veil of the world fall upon his eye, and this is because he knows himself and others–i. 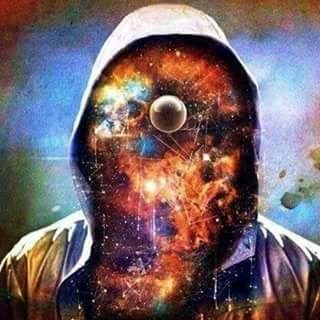 e. he sees with his inner eye and so beyond the illusion his own ego and the ego of others create. He is fully awakened, and yet he lives, loves, and interacts among and with the asleep ones. He carries peace in his mind and heart, because he controls his desires and reactions to the environment and to the asleep people he comes in contact with. He understands at a deeper level that which drives the asleep to anger and fills them with fear, which is all economic ups and downs, relationships misunderstandings, and the anxiety and mental distress death brings. He sees clearly through the veil of the mundane life and he elevates himself to a constant state of mental and spiritual awareness which fills him with constant blissfulness. Being alone is a source of incredible energy and great wisdom for the mind, and that is why great artists and innovators, as well as great spiritual teachers, have talked about the power of creativity flowing from the depths of the subconscious (subconscious which can only be accessed through the process of being alone and in peace and acceptance of oneself and others). Being alone, taking respectful and enriching time for yourself is recharging your inner batteries, the energy of your cells flowing freely and giving you deeper understanding and strength to create and stand on your own, uniquely and powerfully to reach all goals with determination and faith. The way to reach this state is to leave the nuisance and stupidity of the world and the society you live in, by being self-disciplined in your own mind and heart and rejecting that from your culture and your society which does not create health in you (mentally and physically). And this goes against the ego, I know, which always points the way towards all unhealthy options and banal pleasures of the mind and flesh; however, there is no more misguided and obtuse path to self-sabotage of your higher goals and to all mental and physical suffering than to follow your lower instincts and rogue thoughts and emotions. This should be a reminder for all of us to always be aware of ourselves and the society’s allures. And which one are you, the wise or the unwise man, the strong or the weak man…?? Next Post The dark cloud.